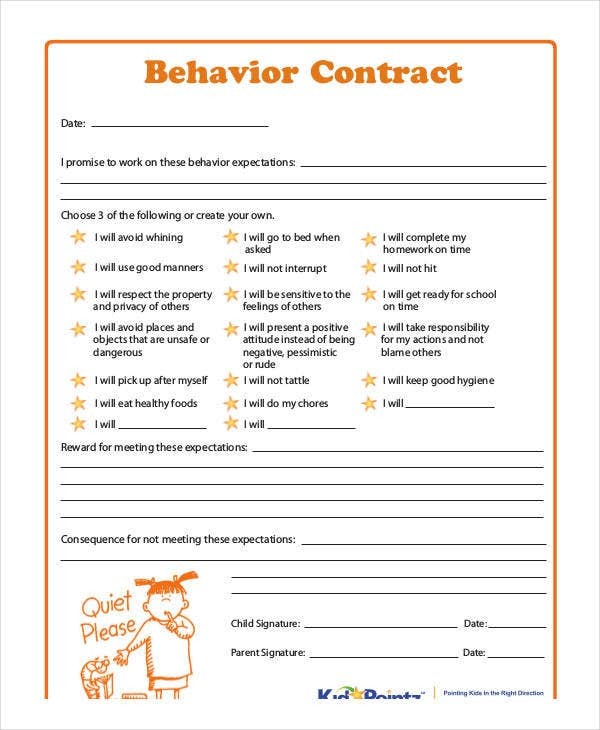 A behavior contract is an agreement between an individual and an entity who would like to enforce corrective measures for the betterment of a person’s behavior. 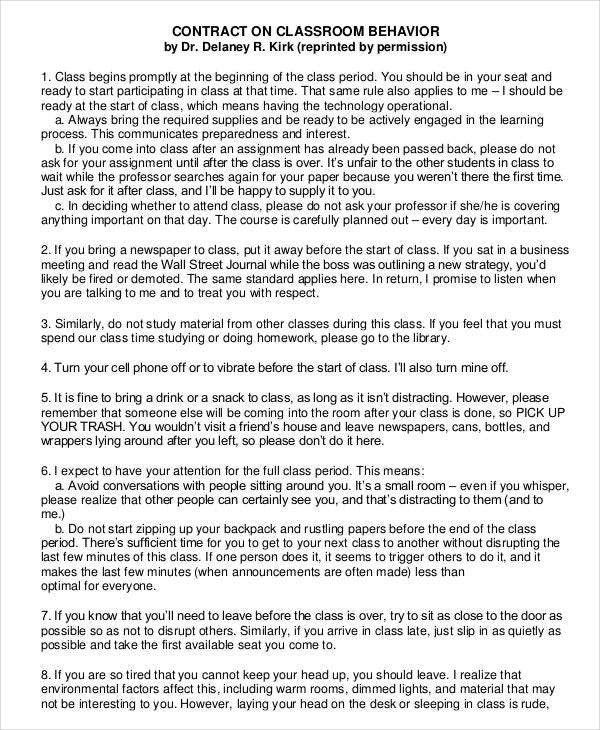 It may be implemented either in an academic institution or within a work environment. 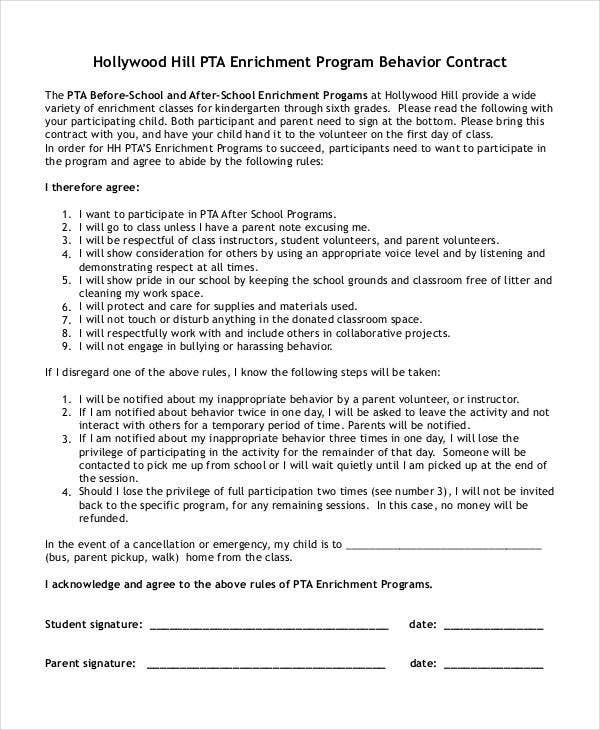 Moreover, a behavior contract may also be used in a home setting to teach children about the importance of following rules and guidelines. 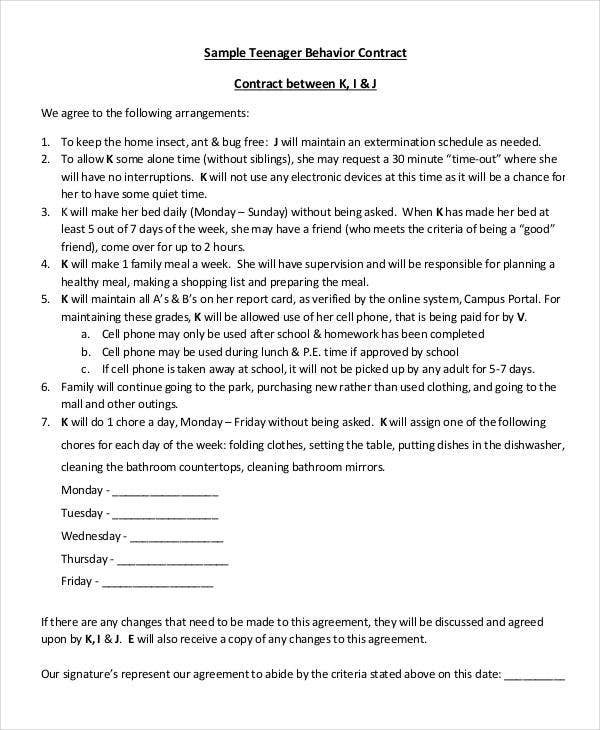 We can provide you with samples of behavior contract templates should you be needing information about the items that are included in this particular kind of contract. 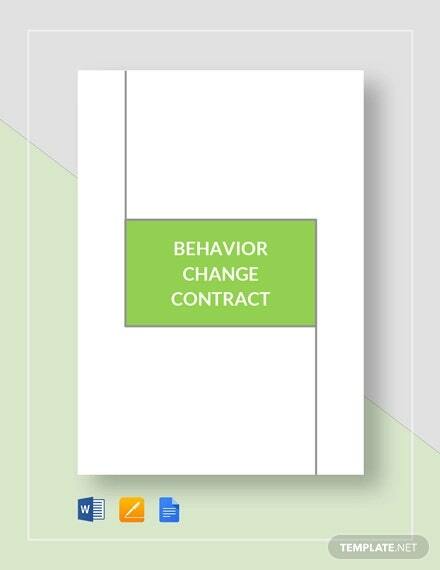 Other than that, we also have downloadable Contract Template samples should you be needing references in the creation of various kinds of behavior contracts. 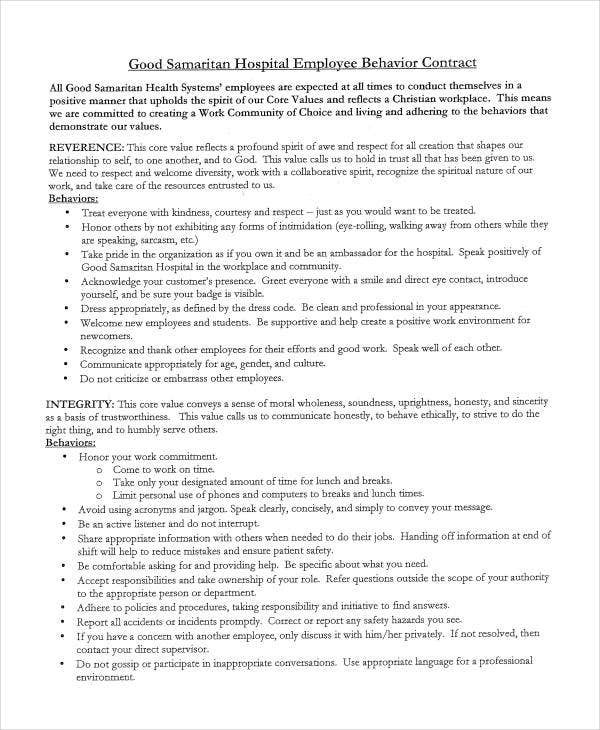 Assure that a behavior contract has a precise attitude or character in focus. 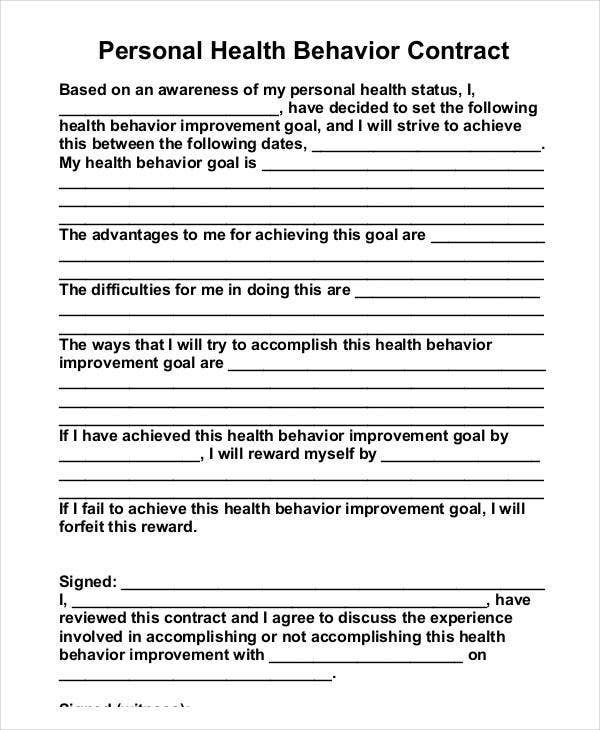 It will help both the individual and the person who wrote the behavior contract to track the improvement of a person in terms of a particular bad habit. 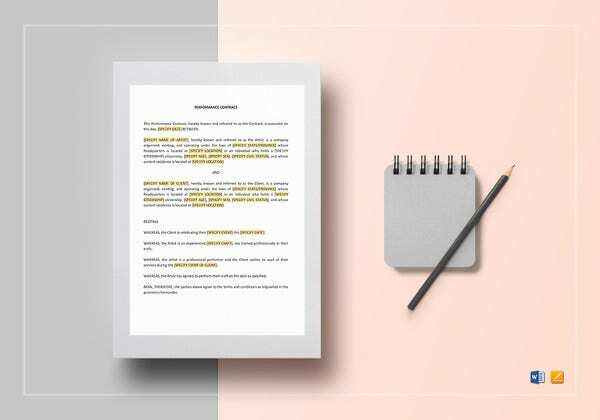 Define the behavior that is needed to be aligned with a particular character assessment and the kind of practice that should be done for positive change to occur. Enlist the qualities of the person and look at the items that are needed to be changed or improved. 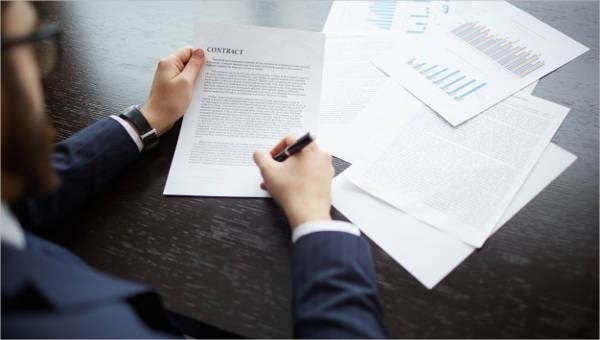 There should be an agreement between the two parties involved in the transaction to assure that they are at the same phase with regards to the assessment of a person’s behavior. 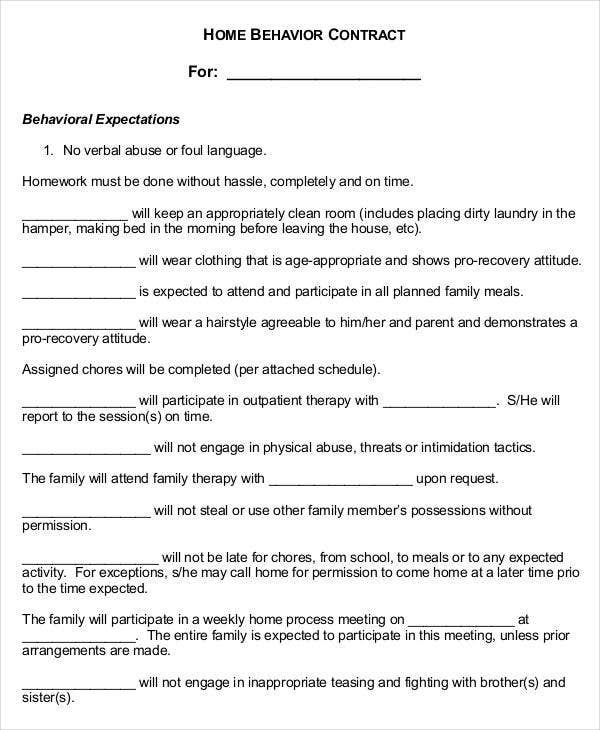 The minimum conditions of a behavior contract should be listed as the person who needs to change his or her behavior needs to know the items that he or she will be assessed on. 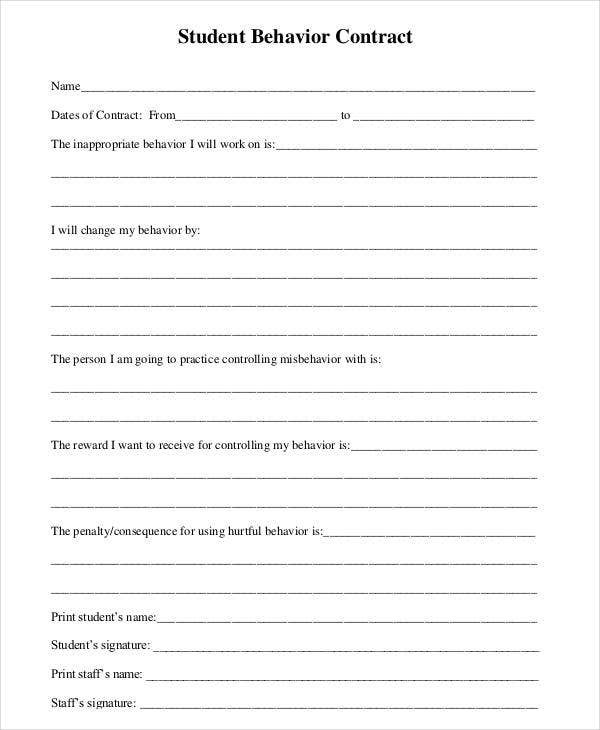 Provide suggestions for behavioral improvement and identify whether a particular suggestions is effective within a duration of time. 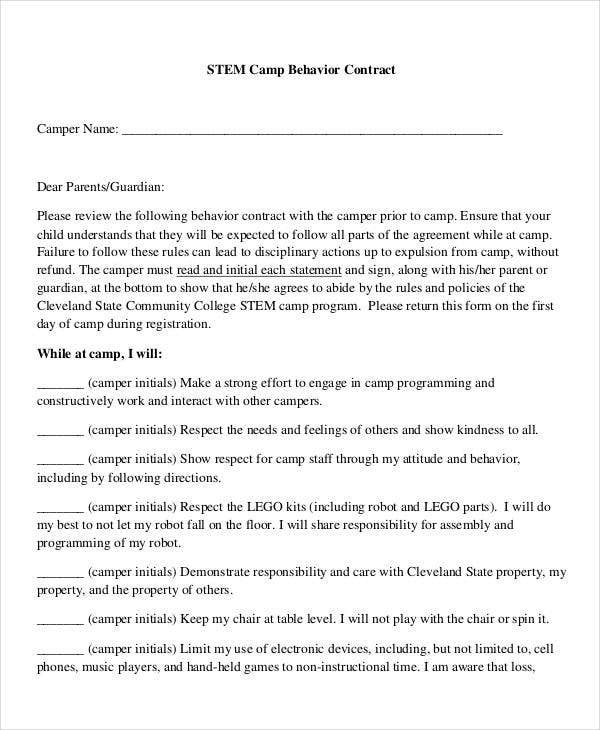 Other than our behavior contract templates, you may also want to download our Learning Contract Template and Consulting Contract Template samples. 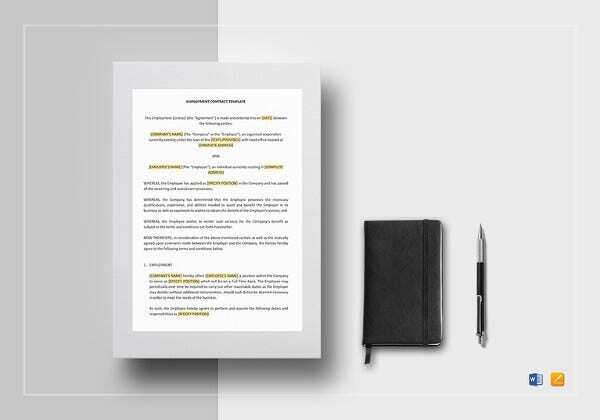 Aside from our downloadable behavior contract templates, you may also browse through our Word Contract Template samples.